Looking to buy a home in the 2nd largest city in Nevada?The McKenna Team can help you locate the perfect Henderson, NV home. New home builders have returned to building in Henderson and the current communities are still thriving.A few of the communities are include Paradise Hills, Palm Hills, MacDonald Highlands and of course all the comminutes in Lake Las Vegas & Green Valley are in Henderson. Henderson, NV also offers walking trails, parks and recreational facilities throughout the city. 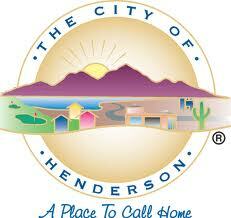 In 2011, Forbes magazine ranked Henderson as America's second safest city. Analysts attribute this to Henderson being an affluent city, with a high median income and amenities catering to local residents. Henderson has also been named as "One of the Best Cities to Live in America" by Bloomberg Businessweek.Again in 2014, Henderson was ranked as one of the Top 10 "Safest Cities in the United States" by the FBI Uniform Crime Report. Let the McKenna Team help you find the right home for you in this great city.